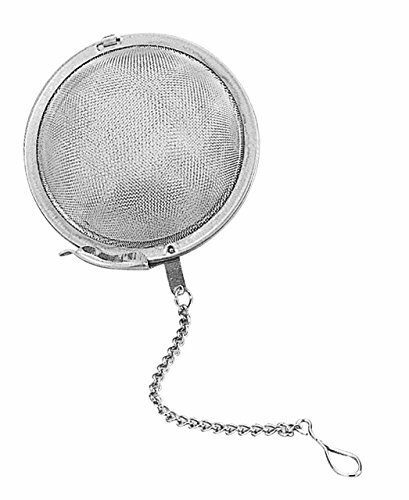 Better Houseware 2.5" mesh stainless steel tea ball. Ideal for the perfect cup of tea. Brew your loose leaf tea with ease. Comes with a hook to hang on teapots. The attached hook lets the ball hang from your teapot or pot and is easily removable when your herbs have fully steeped. If you have any questions about this product by Better Houseware, contact us by completing and submitting the form below. If you are looking for a specif part number, please include it with your message.